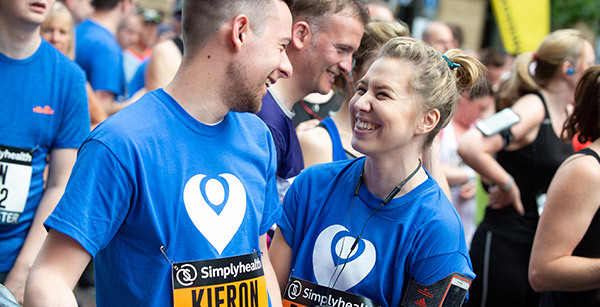 The Great Run Series is proud to provide a platform for runners to raise millions of pounds for charity every year. Below is a list of some of our Great Charities, all raising money for incredibly worthwhile causes. 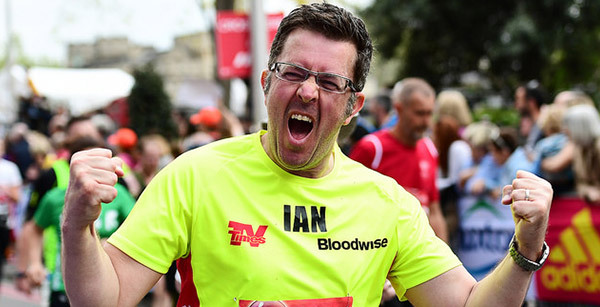 To find out more and how to run for your chosen charity, simply click on the images for more…..
Bloodwise is the leading blood cancer research charity. We’re here for everyone affected by blood cancer by funding world leading research, providing support and campaigning for change. 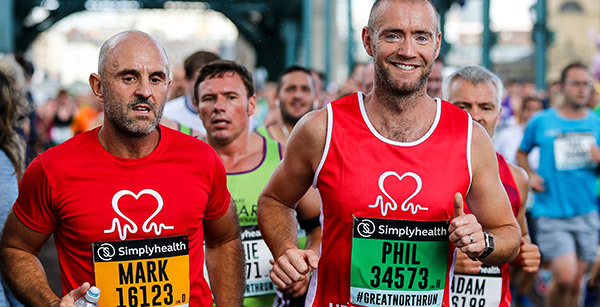 Run with us at the Great North Run and every pound raised will help us beat blood cancer. We're Mind, the mental health charity. We're here to make sure no one has to face a mental health problem alone. We won't give up until everyone experiencing a mental health problem gets support and respect. 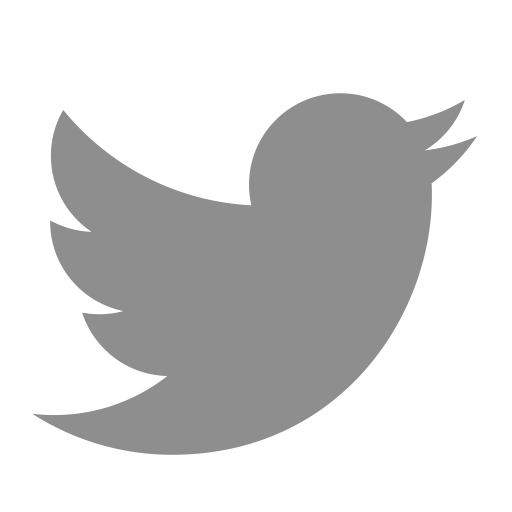 Join the movement for better mental health today and be part of something great! Run for Team Tommy’s and help save babies’ lives! 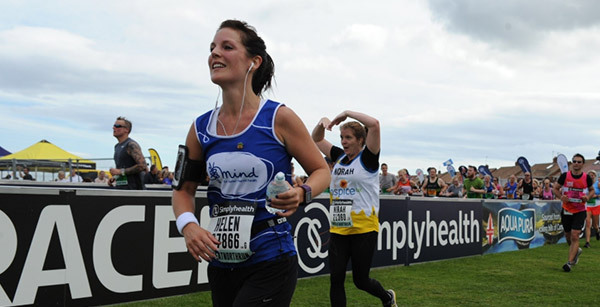 Get FREE entry, V.I.P support, loud cheers and the best post-race party at the Great North Run! Tommy's exists to save babies' lives and help parents to have a safe and healthy pregnancy. We fund medical research into the causes and prevention of miscarriage, premature birth and stillbirth. We believe it is unacceptable that one in four women lose a baby during pregnancy and birth. With your help we can do more for people living with cancer, giving each person the support they need to look after all that matters and take care of their health, protect personal relationships and deal with work and money worries. We want to help everyone with cancer find their best way through, from the moment of diagnosis, so they’re able to live life as fully as they can. You can be someone who makes that happen. When you run for the BHF, you run to beat the world’s biggest killers. 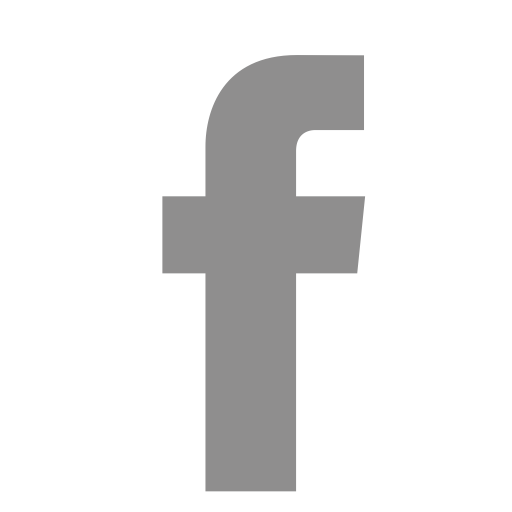 Conditions like heart diseases, stroke and vascular dementia. You run for the people you love. You run for mums, for dads, for brothers, for sisters, for friends, for loved ones. You run to fund research that helps to keep families together. One life saving breakthrough at a time. Champions like you have helped get them this far - heart transplants, clot busting drugs, genetic testing and so much more. So join the BHF, and fix your eyes on the finish line. Because together, you can beat heartbreak forever. 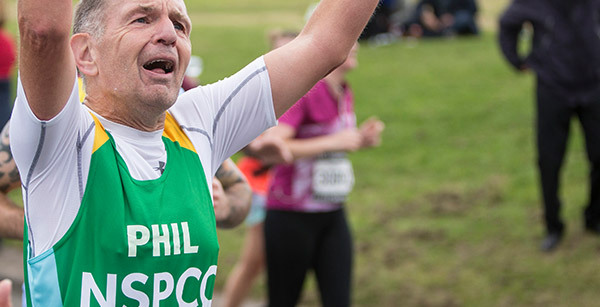 Join Team NSPCC at one of our fantastic Great Runs! 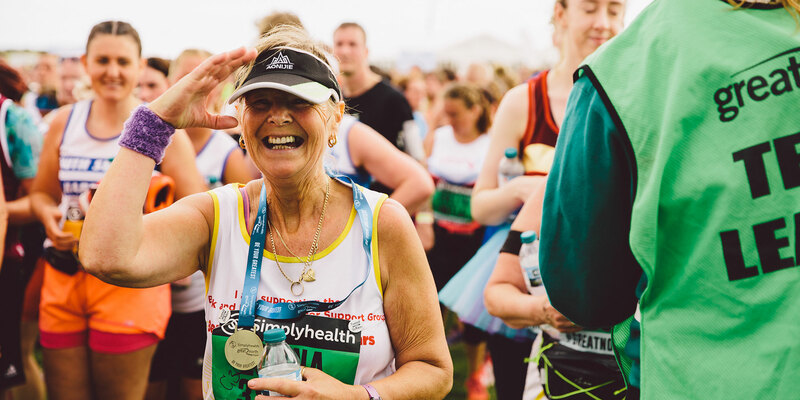 We’ll be there for you every step of the way, from fundraising to cheering you along the course. 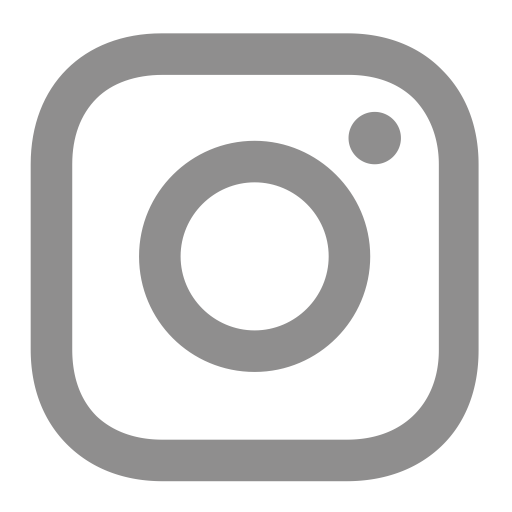 Set your next Challenge - choose your distance and location and sign up today. By joining us, you'll be fighting for every childhood and changing lives. That's what we call a personal best. 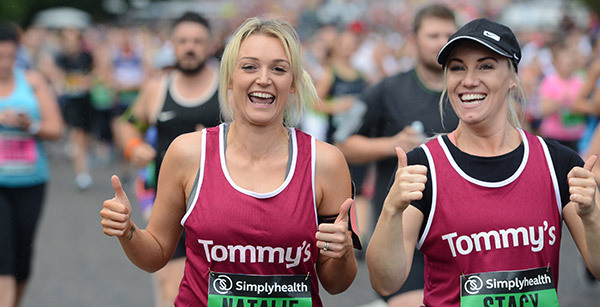 Join an army of Team Christie supporters and put your best foot forward at Manchester’s biggest and best day of running! The Christie is committed to revolutionising the fight against cancer by funding world reaching research, treatment and care, and education. With every step you take around the city centre streets you will be helping us to achieve our ultimate goal of a future without cancer. 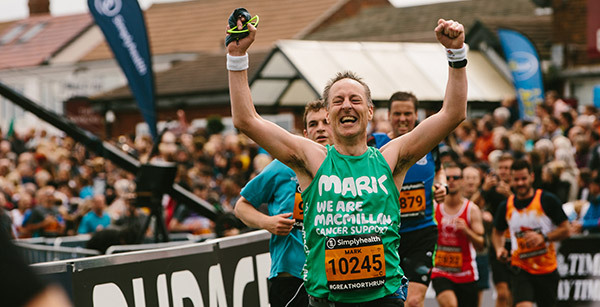 Whether it is your first or your fifteenth run, the extra-special atmosphere and Team Christie encouragement will ensure you never forget crossing that famous finish line. Be part of something special; choose The Christie! 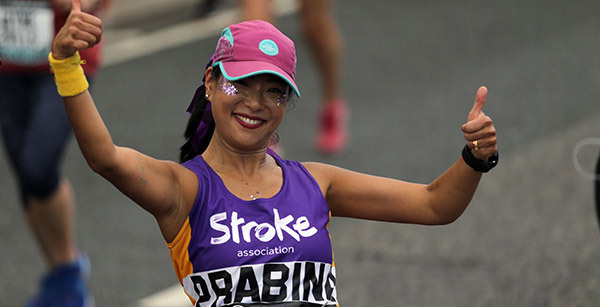 The Stroke Association are the UK’s leading charity dedicated to conquering stroke. We deliver stroke services across the UK, campaign for better stroke care, invest in research and fundraise to expand our reach to as many stroke survivors as possible. There are over 1.2 million stroke survivors in the UK with 100,000 strokes happening in the UK each year. That’s one stroke every five minutes. We believe in life after stroke and rely on your support to change lives and prevent stroke. With your support, together we can conquer stroke. Every year Breast Cancer Care help thousands of women find a way to live with, through and beyond breast cancer. Join our team today and you can help us be there for anyone facing breast cancer. 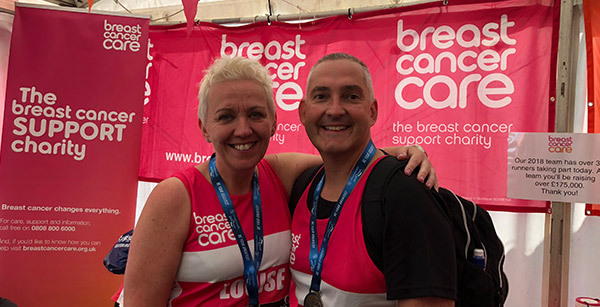 Contact Amy or Charlotte on 0345 092 0804 or email sports@breastcancercare.org.uk to sign up for your training and fundraising support pack and bespoke running vest.